Memorial Day weekend has finally arrived, and you know what that means? It’s officially grilling season! What better way to celebrate the long-awaited summer than with some new grilling recipes to spice up your cookbook! Sweet Potato Veggie Burger with Avocado – Switch up the classic grilling staple with this vegetarian twist. 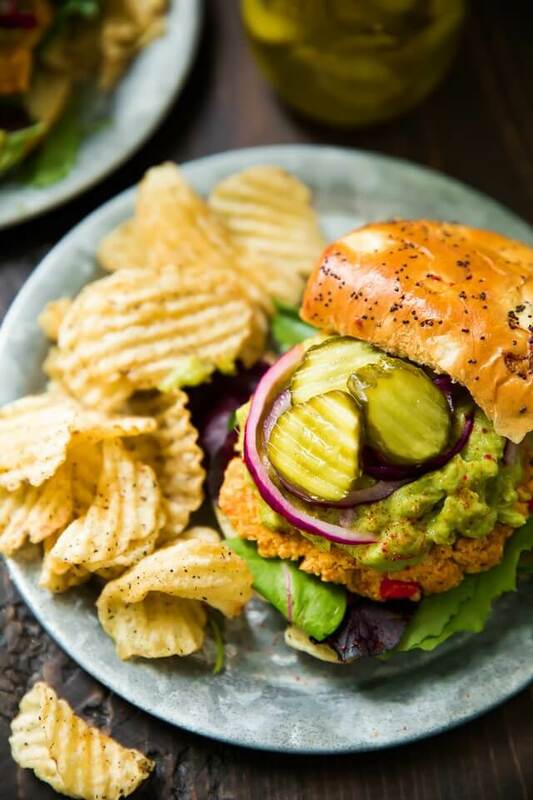 Kim’s Cravings swapped your typical burger patty with this flavorful sweet potato veggie burger, perfectly paired with the rich and creamy taste of avocado. This dish is exactly what your Memorial Day barbecue needs. Grilled Sweet Potato with Peach Cilantro Salsa – Imagine a recipe that includes sweet peaches, tangy lime, salty tequila and charred sweet potatoes…hungry? Well, look no further! This tropical dish is perfect for those who want an unconventional grilled meal. Who needs a hot dog when you can have this? 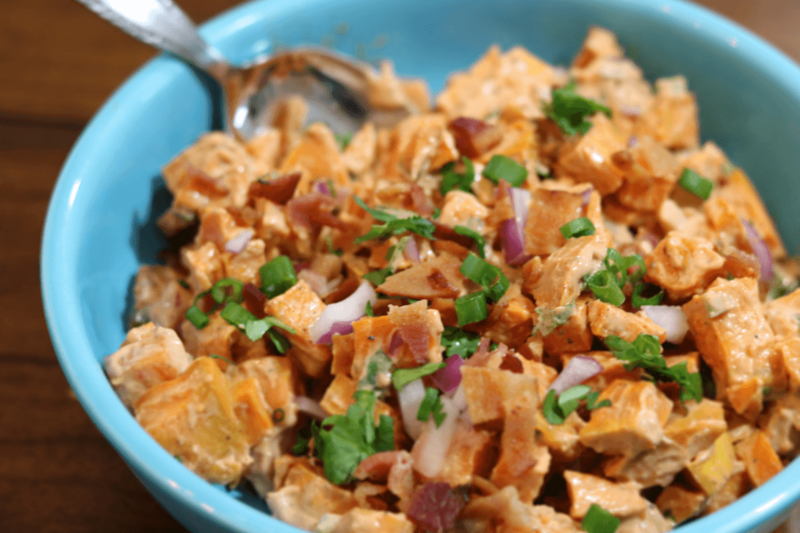 Smokey BBQ Sweet Potato Salad – No summer barbecue is complete without a killer side dish! 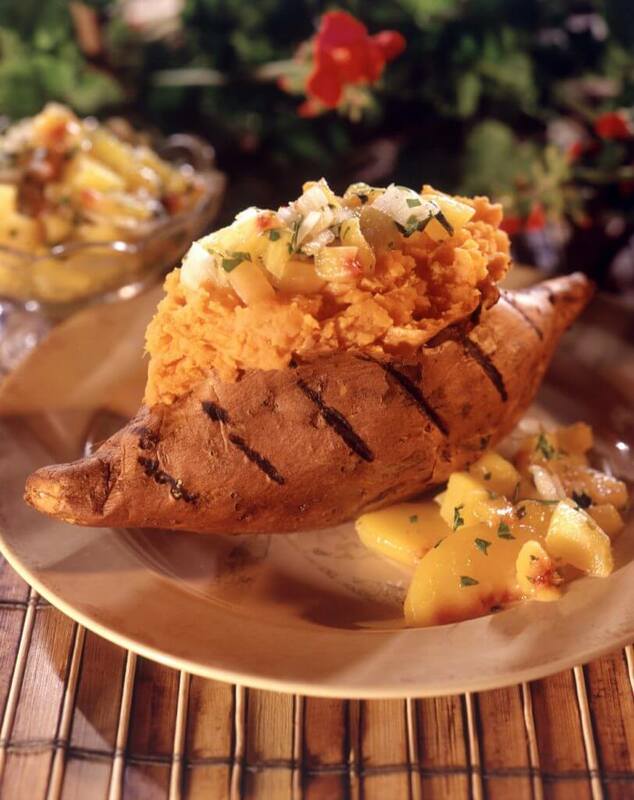 Winner of the NC State Fair Tailgate Recipe Contest, Beth Matheson swapped out your typical potato salad for this summery, sweet and savory recipe featuring your favorite sweet spud. We promise, your grilling guests will be begging for more! We hope these recipes help earn you the title of, “sweetest barbecue host of the neighborhood.” Don’t forget to share how your dishes turned out by tagging us on Instagram at @sweet_taters!